Enterprises migrating to Microsoft’s Office 365 cloud-based offerings are learning the hard way that application performance varies wildly when end users are dispersed around the globe. Microsoft reports that more than 50% of its commercial Office customers are now in the cloud, and the company expects that number to jump to two-thirds this year. But global companies beware. Application performance challenges may lurk ahead. 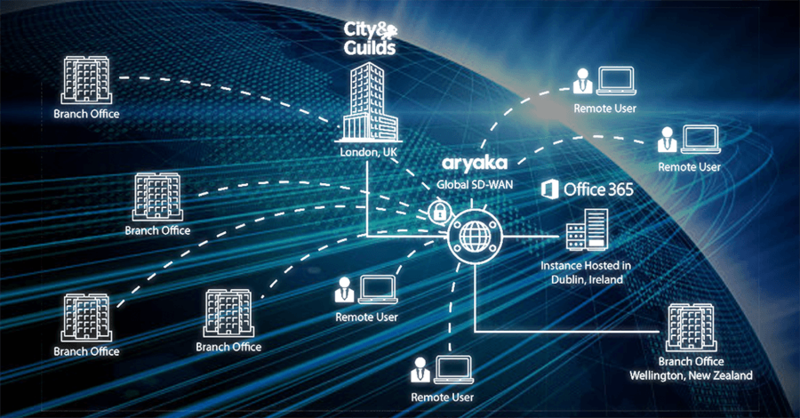 Consider the Office 365 deployment experience of Alan Crawford, CIO for City & Guilds Group, a worldwide leader in workplace skills, eLearning and executive coaching, prior to implementing SD-WAN. “Our users in Wellington, New Zealand, saw delays between 10-15 seconds opening a standard Microsoft Word document, which obviously was impacting productivity,” said Crawford. Although Microsoft has data centers around the world, customers are only allowed one active instance of Office 365, so they tend to home their service near the largest base of users. Those users access the cloud-based applications using the public Internet. That works fine if the Microsoft data center in question is relatively close to the entire user base, but it becomes problematic for global enterprises like City & Guilds whose Office 365 instance is hosted in Dublin, Ireland. The more remote the users, the more network hops are involved and the more handoffs between service providers, some of which are markedly behind the curve when it comes to infrastructure modernization. That increases the chances of encountering network congestion and results in unreliability, high latency, packet loss, and jitter, all of which saps application performance. Most vendors hawking Internet-based SD-WAN appliances as the answer are just putting lipstick on the pig because that approach still uses the public Internet for transport and cannot adequately address Office 365 performance issues. Microsoft wants Office 365 to succeed for all customers, even those with geographically dispersed users, so it offers lots of advice on how to assess and address the problem. Microsoft makes it possible, for example, to tie into its global network through a co-location cloud exchange, but the onus is on you to figure out where and how to do that and establish relationship with a provider in that exchange. This also makes the implementation extremely time-consuming (on the order of months). If the goal of moving to the cloud is to simplify your environment and increase agility, this option is a step backwards. As popular as Office 365 is, it’s unlikely it will be the only SaaS service you need, so it doesn’t make sense to highly customize your network using various connectivity options to meet the performance requirements for each SaaS supplier. Most connectivity options don’t address application performance needs for the vast majority of SaaS applications. Instead, find a SD-WAN as-a-Service solution that can address the requirements for all of your SaaS resources. While bandwidth requirements forOffice 365 will vary greatly depending on the services used, the number of clients supported, etc., WAN traffic will be higher (in some cases, orders of magnitudes higher) than on-premises Office deployments because the server side of the equation is now hosted in the cloud. 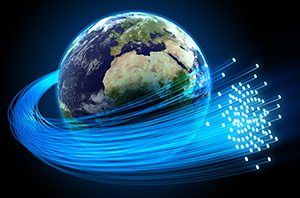 That makes it imperative for organizations with global locations to use WAN optimization. Legacy WAN optimization technologies won’t work because they require a hardware or virtual appliance at either end of the WAN link to achieve the desired reduction in data to be transmitted. Look for a SD-WAN service solution that has optimization built in. The best way to support global Office 365 deployments is by not looking at just SD-WAN, but a managed global connectivity delivered as a service. This approach gets you out of the business of constructing global private networks and offers you a “direct connect equivalent” to access Office 365 instances, which may be located thousands of miles away from the end users. This significantly improves Office 365 performance. Further, it enables you to consume SD-WAN on a subscription basis just like you do with Office 365, therefore, greatly simplifying your WAN environment, and making your network more agile. That’s ultimately what the IT team at City & Guilds concluded. Headquartered in London, City & Guilds works with education providers, governments and major corporations in over 100 countries to help shape and support skills development. 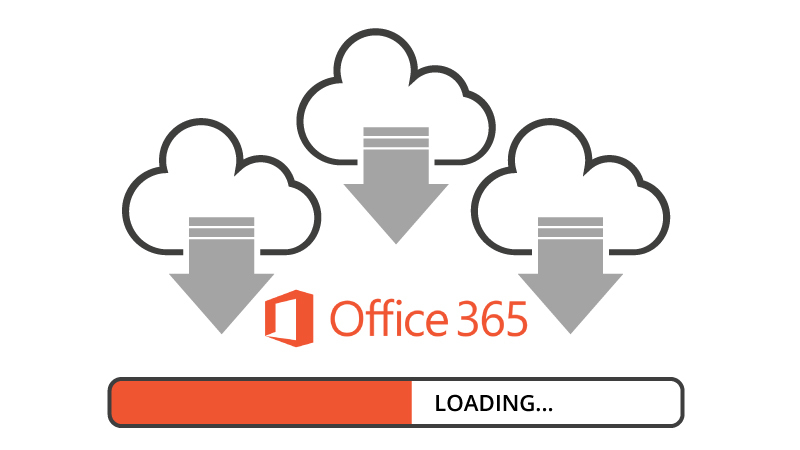 Team members around the world were having trouble using Office 365 hosted in Dublin. For example, it could take more than 37 seconds to open one file from the corporate SharePoint drive. Crawford said the organization considered several options, but ultimately opted to deploy Aryaka. “Our colleagues around the world were able to load their files to SharePoint three times faster, we experienced a 200 times reduction in the time to open 10MB SharePoint files, and saw three times improvement in the time taken to upload 10MB files to OneDrive,” he said. If you’re a global enterprise looking to move to Office 365, take a long hard look at the network requirements and options because that’s what will ultimately determine the success of the roll out. Ashwath is the Chief Technology Officer and one of the founders of Aryaka. 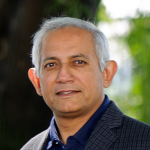 He is responsible for building Aryaka’s vision and technology since its inception, and holds 17 patents in storage, security, architecture, and networking.